* Note, Beaver Bay issue effects the 100 mile race only. Due to road construction there is the potential that we will have to prohibit crew access to the Beaver Bay Aid Station at the last minute. 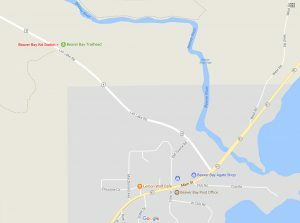 Lax Lake Road out of Beaver Bay is going to be closed to through traffic for a planned county road work project but the race has been given permission from the county to use the road to access the Beaver Bay Trailhead and setup the aid station. We have also been given permission to allow crews to visit the Beaver Bay Aid Station and park on the shoulder of the road as usual but this is contingent on the road work being on schedule and the county having the majority of the disruptive work done by the time of the race. Given the variables associated with the project, there could be a last minute change and as a result we are asking that all 100 mile runners who are planning to utilize crews at the Beaver Bay Aid Station have a contingency in place by either having what they need with them or packed in a drop bag for Beaver Bay. Runners and crew should also keep in mind that when considering these changes that there is no crew access allowed at the previous aid station (Split Rock) and that there is crew access at the next aid station (Silver Bay) which is at mile 25. You will be notified of any crew access changes at Beaver Bay during the pre-race meeting on Thursday night, again, please come prepared for either scenario.